Floating island for 4 people made using sturdy coil beam construction 2 air chambers for additional safety Three comfortable backrest cushions Open bottom to dip feet into water Heavy-Duty Handles The Bestway Rapid Rider X4 Inflatable Floating Island is an excellent choice for floatin..
Intex 58775 French Fries Mat inflatable floating mattress for the pool or beach shaped like a crispy box of chips! An ideal floatie to relax in the water with lots of style and lots of character, making it a most exclusive Intex inflatable for the summer. Manufactured entirely in multilayered vinyl, a strong and durable material that will last ..
Intex 58752 Pizza Slice is a floating inflatable mattress for the pool and the beach with a realistic print of an actual pizza slice! This Intex inflatable is one of the most succesful and popular floaties of the summer and it is made to resemble the most succesful and popular product of all time: pizza! You can now relax while slowly floating ..
Intex 58761 Pineapple Mat inflatable floating mattress for the pool in the shape of an actual pineapple. 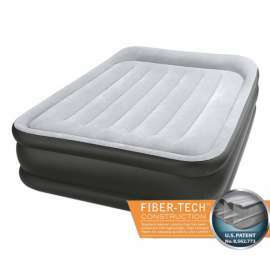 Manufactured in highly durable and resistant multilayered vinyl to ensure a lasting exclusive product, this inflatable mattress for the pool is one of the most popular floaties of the summer, often employed by pools and resorts to add chara..
Intex 58751 Watermellon Popsicle inflatable pool mattress with realistic print. This popsicle design floating mattress for the pool has a fine detailed realistic print of a watermellon. 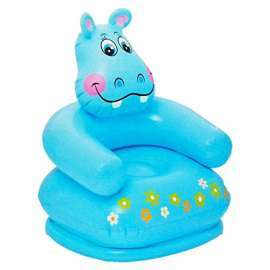 A refreshing summer inflatable with an exclusive and original design to relax in the water with style. Manufactured in high quality vinyl to resist bumps and te..
Intex 57250 Peacock Island inflatable ride-on for the pool or the beach with a charming peacock design. This inflatable ride-on from Intex in the shape of a peacock is a popular and refreshing summer toy with an outstanding design. The mattress is ample and accomodating so that you can lay down and relax as you wish, in the water and even on th.. This floatie from Intex is one of the most popular models of the summer with its lollipop design and realistic detailed print. The technology involved will keep the colours and print from fading over the years. Manufactured in multilayered vinyl this floating mattress is strong and resistant and you may well use it on the ground as well, in place o..
Intex Mega Unicorn Island Looking for a magical experience? Add fun to your pool party with the Mega Unicorn Island! 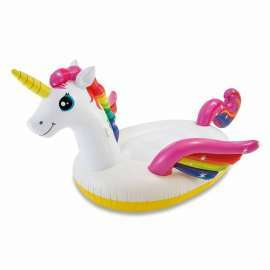 Features: Large colorful unicorn 2 Heavy duty grab handles Two air chambers for added safety Fun, colorful design Includes repair patch Made of durable 14 gauge vinyl Designed to ac.. 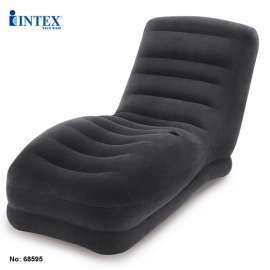 It is perfect for relaxing at home and is designed with grooved and contoured shape for a natural fit and added comfort Its long seat will let you sprawl out when you are gaming or watching TV Includes a cup holder to keep snacks or a drink at arm's length 2-in-1 valve with extra wide openings for fast inflation and deflation, Inc..
Intex 68595 Mega Lounge Inflatable Air Chair .. Product Details: Intex 68586 Inflatable Air Chair ( 97 x 107 x 71 cm)-Green Get some chips and guac, a beverage, and relax in this Intex Inflatable Accent Chair.Guacamole is almost as good as this inflatable chair, but comes in a close second place. Intex brings you a bright-colored splash of green to accent your indoor or outdoor scene for..
Sofa, sleeper, futon, bed, this 2-in-1 pullout is designed for relaxing just about anywhere. 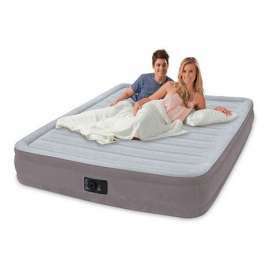 The Intex Queen Inflatable Pull-Out Sofa Air Mattress is versatile and goes from an inflatable sofa to a queen-size air mattress momentarily. This pull-out, inflatable sofa offers valves with extra-wide openings for fast inflation and deflation (ai..
Bring a splash of colour and design to any room or backyard with the Intex line of air chairs! Made to fit your relaxing style, our chairs are perfect for curling up with a book, watching TV or simply winding down. Features: - design to any room or backyard - Colourful Specifications: - Age: 9+ - Colour: Pink - Dimensions: 102cm..
Intex Inflatable Cosmo Chair With Free Manual Hand Pump#68594 Intex Inflatable COSMO Chair With Free Manual Hand Pump#68594 The Cosmo Chair Will Style Up A Room With Ease And Bring New Excitement To Your Life The Cosmo Chair Provides Cool Comfort At Home. Brand : Intex Dimensions (Inches) : Approx 41''x 46'' x 27'' Prod..
Intex 57502 Shooting Hoops is an inflatable basket to play basketball for children in total safety, indoors or outdoors. This Intex inflatable toy for children is a wonderful gift for kids of all ages to have fun playing basketball and getting to know sports and fitness. A latest and most succesful product in their collecton of inflatables for ..
Intex 48250 Jump-O-Lene Box Ring, 226x226x110 cm .. Product Description Brand: Intex Model Number: 68556NP Inflated Size: L 65 CM x B 64 CM x H 74 CM Chair Weight: 921 gms Maximum Weight Capacity: 35 KG ASIN: B003PUAMIM Composition: Vinyl Box dimension: 24.13 CM X 7.62 CM X 21.59 CM shipping weight: 1 Kg The Intex happy animal chair can enhance your kids TV watching sessi.. 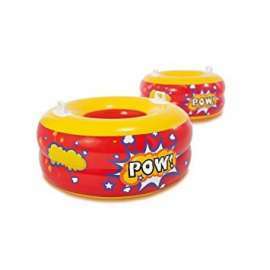 Product Discription INTEX KA-POW BUMPERS Avialable at 3roodQ8 Size : 80 X 38CM Material : Non-toxic PVC ?- Durable handles - Repair hatch included ?- Contents : Two Bumpers Cute and Fun design for kids to have movement activities. Strong handle and creative design for more fun and safety. Suitable for family, child care ..